Here’s a sneak peak at the Dance Factory 2012 yearbook cover. 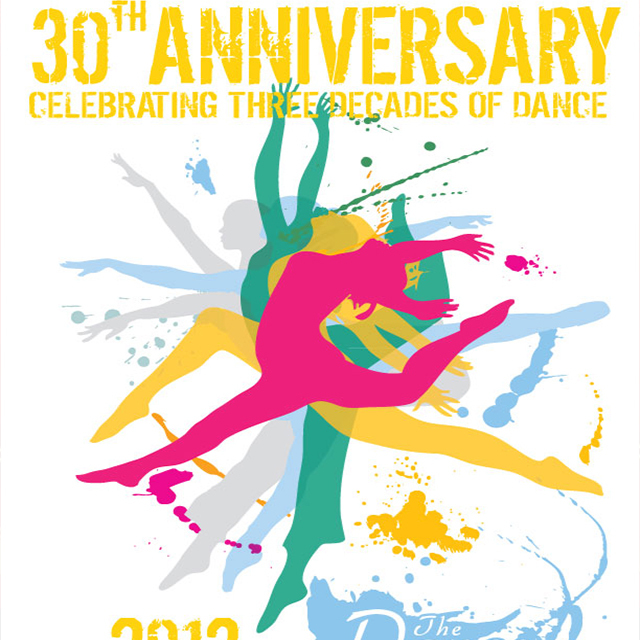 We decided to go with something bright and colourful on a white background this year to celebrate the dance studio’s 30th Anniversary. To give the graphic movement I layered the dancer silhouettes so the hands, heads and feet were fanned out and used blending modes to see the shape of each dancer. Then added some paint splats to complete the motion and add even more colour.